Our company strives to perform the highest standard of service, quality workmanship and reasonable pricing. “You’re driving our reputation” says it all. 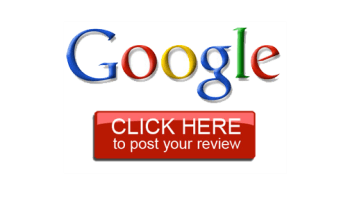 We want our work to merit our customers referring us to their family and friends. With some repair jobs, we can save you time and money with our Mobile Repair Service. 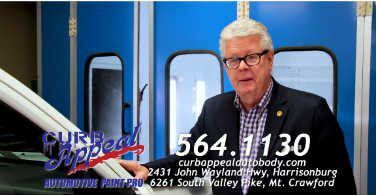 Instead of dropping off your car at our auto body shop for a few days, we can come to you and repair your car or truck at home or at your place of work. 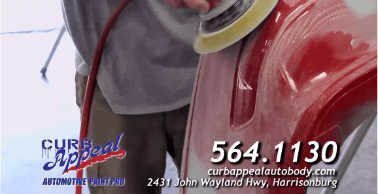 This is just one of the valuable services that our customers have come to love at Curb Appeal Automotive Paint Pro. Their prices are competitive, their work is phenomenal, they’re honest and they do what they say they’re going to do. I had some regular door dings and it was just getting to the point to where it just needed some touch up. So Curb Appeal came out and all I had to do was to have the car available to them and when I got home at the end of the day it was taken care of. The next time I have a car issue, Curb Appeal will be the place that I call. Amazing family to do business with! Jim, Marilyn and the crew are dedicated to customer care at the highest level! Thank you so much for fixing my bumper. You do amazing work. Congratulations on your new body shop, we will send everyone your way. We appreciate everything you do for us & Steven Toyota. 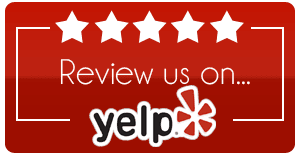 Please let us know if we can do anything for you. We use only the highest quality paints from Axalta Refinish. With some repair jobs, we can save you time and money with our Mobile Repair Service. Our company strives to perform the highest standard of service, quality workmanship and reasonable pricing. 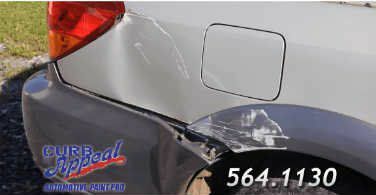 We're a locally owned and operated business with seven years of combined experience in window tinting. 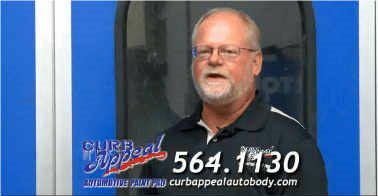 Instead of dropping off your car at our auto body shop for a few days, we can come to you and repair your car or truck at home or at your place of work.